Finally my exam is over and I can update my blog regular since some posts are hold for weeks and more! oh my god!! 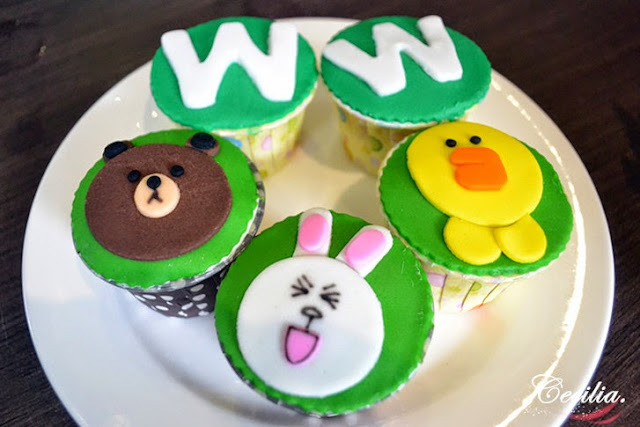 Sorry to my readers keep waiting for my post especially this post! Most of you are know Watsons has launch their official LINE account through my Instagram, so here I gonna tell you about this! Are you fans of Cony and Brown? Yes I do! Honestly I was excited when getting to there and I get the limited LINE VIP Watsons card! 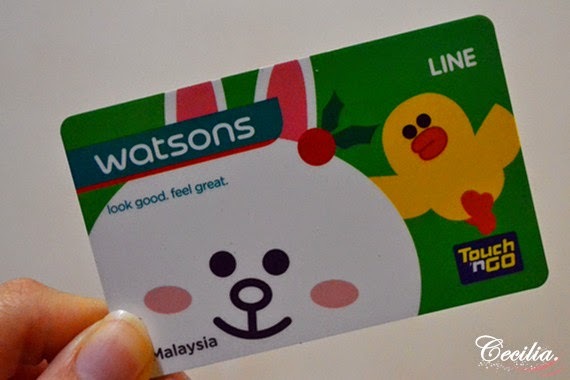 Watsons, the leading health & beauty retailer brands, being the first retailer in Asia that co-branded with LINE, and introduce the Watsons LINE Limited VIP Card with Touch'n Go feature. Watsons was provide a leading life platform to let Watsons Malaysia's customer more to enjoy and receive the latest offer and news from Watsons. The dance performance from Watsons as opening of the launch event. The day was crowded where many media, bloggers and their Watsons loyal customer come together to celebrate the launch of Watsons LINE official account. There was manicure service at the event and Watsons VIP members enjoy it. 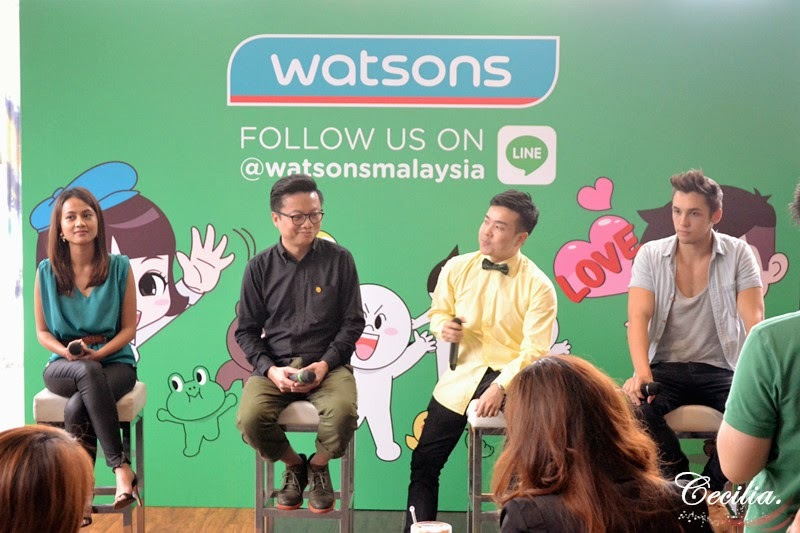 Here the team leader of LINE Malaysia, Wind Koh and Senior Business Relations Manager of Watsons Malaysia,Benjamin Wong giving their talk about launching the Watsons LINE official account and the new feature of the VIP member card. Watsons Malaysia Managing Director, Kulvinder Birring; Watsons Malaysia Marketing & Development Director, Jessica Ng; Watsons Malaysia Marketing Controller, Danny Hoh who were joined by Benjamin, Wind, Shahwa and Mark on stage for the photo opportunity session, together with famous LINE characters. Watsons' celebrities friends, Reem Shahwa and Mark O'Dea were invited to sharing their experience and journey of being Watsons VIP members at the launch events. 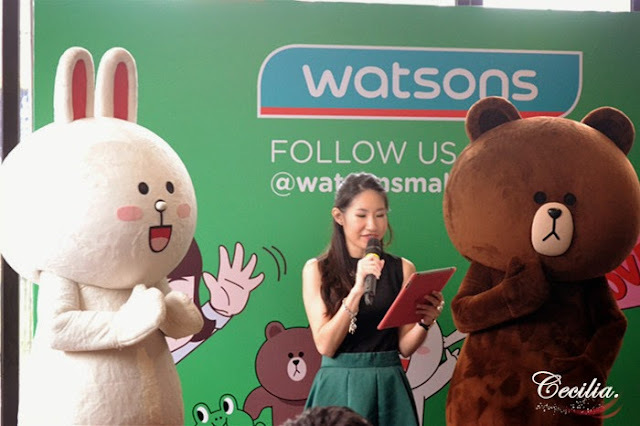 Through the collaboratin with LINE Malaysia, now the Watsons Malaysia's customer could knowing all of the latest promotion and offer of Watsons Malaysia from LINE application. You may enjoy the reward and giveaway from the LINE Apps! How fun was it? 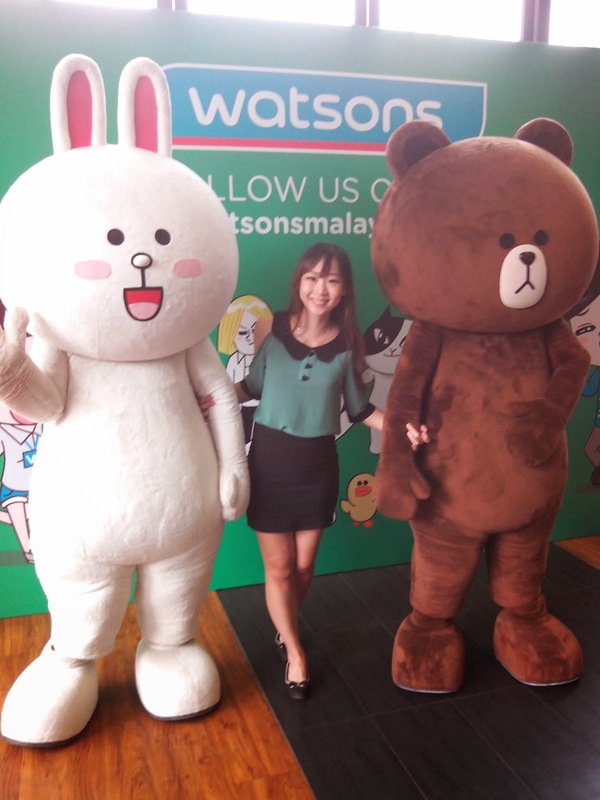 In conjunction with the launch of Watsons Malaysia official account, Watsons Malaysia has also created a set of LINE stickers for customer to download when they follow the official account. Of course cannot miss out the photo opportunity with CONY and BROWN! By the way, the limited edition Watsons card is featuring with the LINE popular character and priced at RM20. I got mine CONY Watsons card! 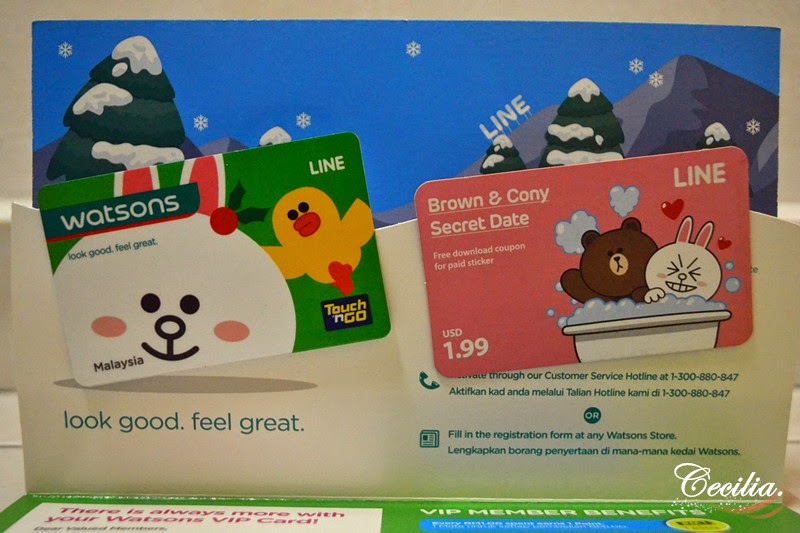 The limited edition card is comes with a set of LINE stickers worth USD1.99 and preloaded with RM5 worth of Watsons points for new members. Beside the existing benefits,Watsons customer can enjoy discount in over 90 food and beverages at over 600 outlets nationwide with VIP Watsons Card! Everyone was happy as giving a LINE character doll and we are showing off our LINE doll at the event too! LOL! Here me with Shirley, Jane and Jessy! 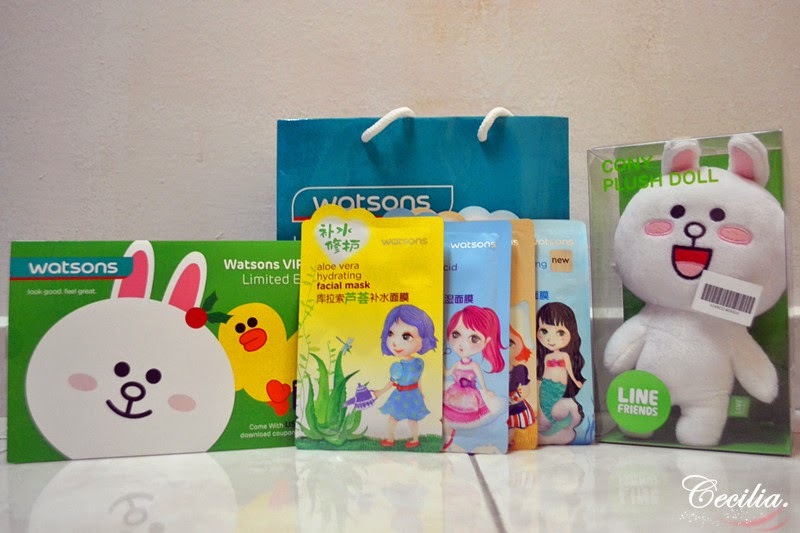 Thank you from LINE and Watsons Malaysia for the merchandise! For more information, do check their Facebook and Website. Don't forget download LINE apps and follow them, LINE ID:@WatsonsMalaysia, to get the latest notification! Go and grab your Limited Watsons VIP card at selected Watsons' outlet: Mid Valley, KLCC, Sunway Pyramid, One Utama, Alamanda, Pavilion, AEON Station 18, AEON Seremban 2, Queensbay Mall and JB City Square.